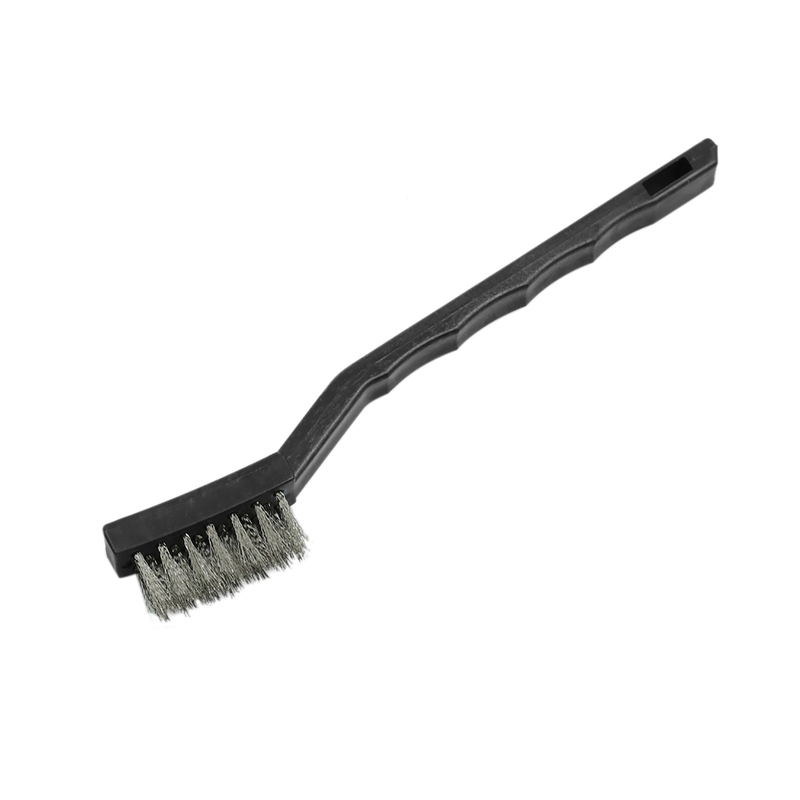 Wire brush handle length is 17cm/ 6.69 inch, the brush head length is approx. 3.5cm/1.38 inch,and the brush head width is 1cm/ 0.39 inch. Durable Material:Stainless steel,strong and durable,can clean rust and detail completely. The design of the handle is evenly curved at the brush,making it easier to use. Suitable for cleaning steel parts, machinery, the unfinished metal parts, paint stains, special corrosion without damaging surfaces. Hang-up hole on the brush is convenient for storage.